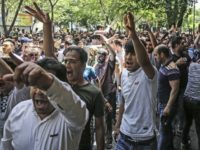 Iranian President Hassan Rouhani warned Iranians on Wednesday that difficult times lay ahead due to the tougher round of U.S. sanctions that will descend next week but promised unspecified government actions to alleviate their hardships. 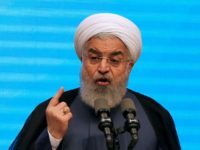 Iranian President Hassan Rouhani on Wednesday claimed Saudi Arabia murdered Washington Post contributor Jamal Khashoggi with the approval and “protection” of the United States. 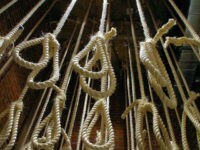 The Iranian Supreme Court on Tuesday upheld death sentences against financial traders Vahid Mazloumin and Mohammad Esmail Ghasemi on charges of “spreading corruption on earth” because their currency trades were allegedly intended to “disrupt the economy” at a time of “enemy pressure” on Iran, that enemy being the United States. 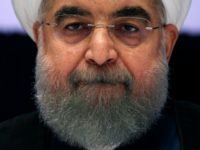 Trump and Iran’s Rouhani Have No Plans to Meet at U.N. 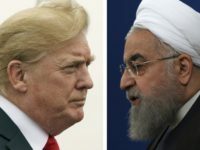 Both U.S. President Donald Trump and Iranian President Hassan Rouhani said on Monday they have no plans to meet at the U.N. General Assembly, refuting speculation that a summit meeting between the two might occur. 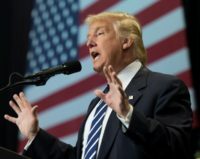 President Donald Trump said Tuesday he would not meet with Iranian President Hassan Rouhani during the United Nations General Assembly. 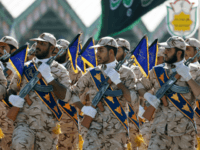 The Islamic State is circulating a video that claims to show the perpetrators of the Saturday attack on a military parade in Ahvaz, Iran, that killed 25 military personnel and civilians. 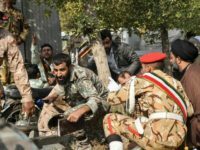 Iran does not seem to believe ISIS was behind the attack, instead blaming Arab separatists it claims were funded, trained, and equipped by the United States, Israel, and Saudi Arabia. 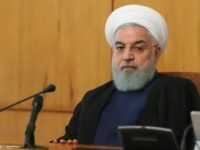 Iranian President Hassan Rouhani abruptly reversed his position on talks with the United States on Monday, just hours before tough U.S. sanctions went back into effect. 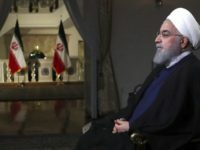 After a week of arrogantly dismissing President Donald Trump’s offer of direct talks, Rouhani said he was willing to negotiate with the United States “right now,” without preconditions. 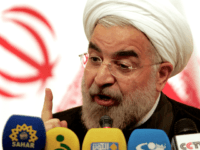 The Iranian parliament announced on Wednesday that it wants to question President Hassan Rouhani about the shaky economy and rapidly devaluing currency. 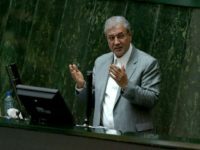 The announcement said Rouhani has been summoned to appear before a special session of parliament within a month, without setting an exact date. 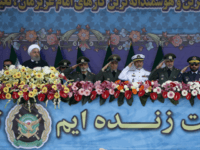 Iranian Army General: Iran’s ‘Moral and Combat Capabilities’ Too Much for U.S.
Iran’s Army Commander Major General Abdolrahim Mousavi warned on Tuesday that the nation’s Armed Forces are prepared to combat any threat from the United States. 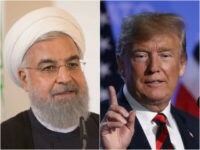 Iranian President Hassan Rouhani on Tuesday dismissed U.S. President Donald Trump’s offer of an unconditional meeting. 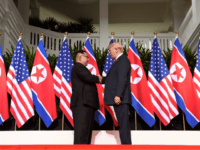 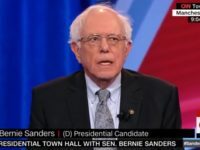 “Certainly, the decisions of the new U.S. administration are fleeting,” he sneered, implying that Trump was not serious about offering to meet with him. 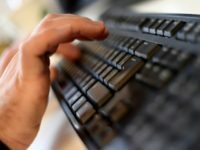 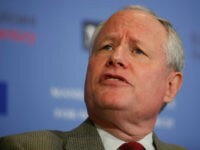 Vice President Mike Pence promoted President Donald Trump’s clear stance on Iran evidenced by the President’s recent tweet, as the Vice President gave remarks on Monday in Philadelphia. 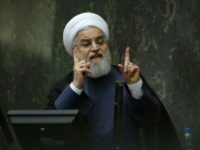 National Security Adviser John Bolton entered the escalating war of words between President Donald Trump and Iranian President Hassan Rouhani on Monday by confirming that Trump is prepared to make Iran “pay a price” for any “negative” actions it takes. 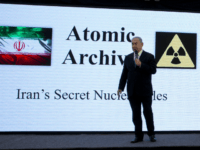 TEL AVIV – Israel has revealed new details about the nuclear documents stolen from Iran earlier this year, including the fact that Iranian scientists were helped by various foreign sources, new reports quoting Israeli intelligence officials said. 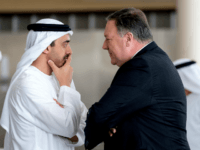 U.S. Secretary of State Mike Pompeo said Tuesday Iran is using its embassies to plot terrorist attacks in Europe and warned Tehran that its actions will have consequences after it threatened to disrupt Mideast oil supplies. 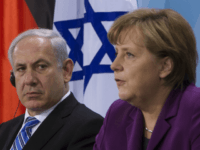 TEL AVIV – Prime Minister Benjamin Netanyahu on Tuesday urged European leaders to stop funding Iran, which he called a “sponsor of terrorism,” and slammed the four remaining partners in the nuclear deal for inviting Iranian President Hassan Rouhani to meet with them while an Iranian terror plot was unfolding in France. 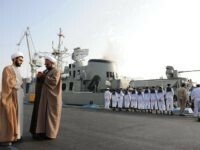 Middle East oil supplies could be cut off if the United States continues to work with allies to isolate Tehran’s oil from the global market, Iranian President Hassan Rouhani warned Tuesday. 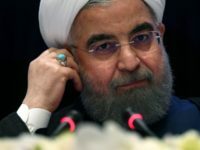 Iranian President Hassan Rouhani is heading to Europe on a whirlwind tour designed to seek funds for Tehran as it continues to oppose the U.S. decision to drop the 2015 nuclear accord. 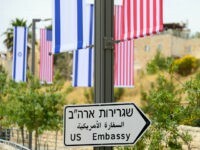 A hardline Iranian organization is reportedly offering $100,000 to anyone who bombs the newly opened United States embassy in Jerusalem. 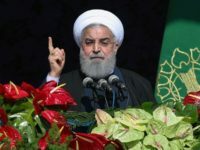 Iranian President Hassan Rouhani expressed in a letter to Syrian President Bashar Assad on Saturday his country’s willingness to aid in the post-civil war reconstruction of Syria, Iran’s Tasnim news agency reported. 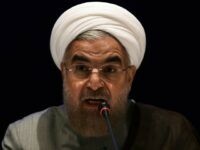 TEHRAN – Iranian President Hassan Rouhani said Monday that the United States would regret withdrawing from the nuclear deal, and that Iran would respond in “less than a week” if that happened.